With approximately twenty thousand documented species, gardeners have plenty of choices regarding the types of daisies (Asteraceae family) suited to their garden space. The Flora of North America Project currently documents 418 genera, 2413 species in North America. To non-specialists, a variation of the flower with white, yellow or reddish petals, typifies members of the family. In fact, many, but not all, Asteraceae species share the physical trait of having multiple, thin petals surrounding a central disk or eye. 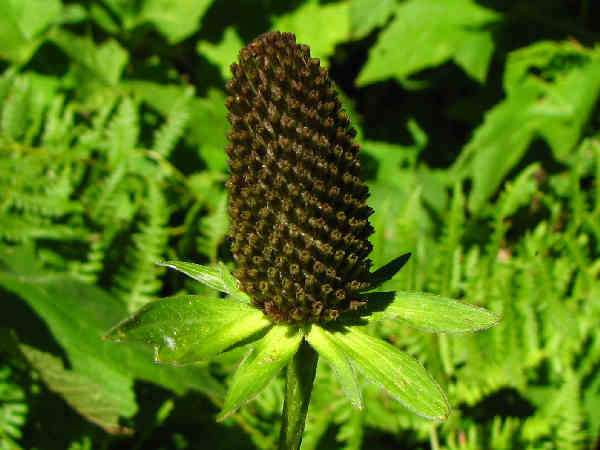 The twenty two species of the genus Rudbeckia (Asteraceae family), better known as coneflowers, depart from the typical daisy appearance, as shown in the top picture of the Western Coneflower. State preferences can also influence daisy choices for the garden. Tennessee joined the ranks of the states celebrating daisies by recognizing Tennessee echinacea (Echinacea tennesseensis) as the state’s official state wild flower in April, 2012. Along with Tennessee, many states officially celebrate North American Asteraceae. Maryland calls the brown daisy (Rudbeckia hirta) its state flower. Kentucky and Nebraska call the goldenrod (Solidago gigantea) the state flower, with South Carolina calling it the official state wildflower. This presentation highlights the shape, color and size choices available for any gardener interested in adding a new daisy to the yard or garden. 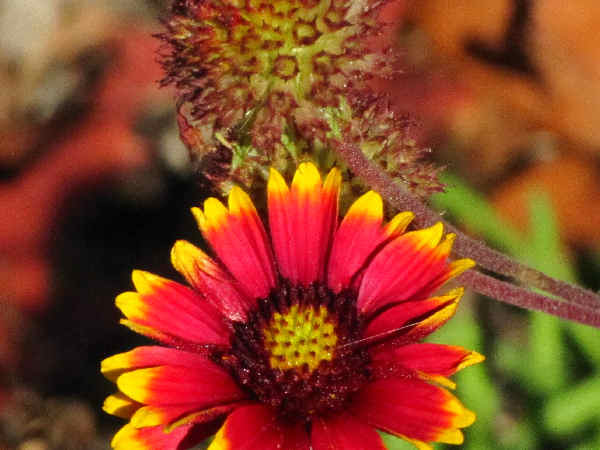 Oklahoma calls the Firewheel (Gaillardia pulchella) its official state wildflower. The flower’s red petals, tipped with bright yellow borders, grow naturally in bunches along roadsides. They grow easily as as easy in cultivated gardens, adding color during the fall. Daisy Fleabane, the generic name given to daisies in the genus Erigeron. The flowers are known for their very thin petals. With close to two hundred different species documented in the United States, identifying any one particular species can be problematic. 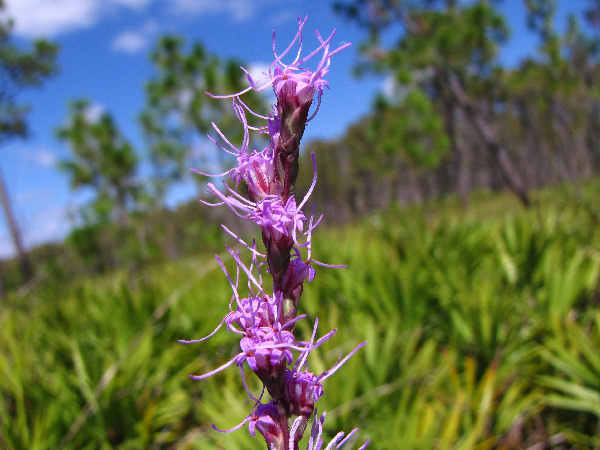 The Blazing Star refers to the Liatris genus, with approximately forty documented North American species. 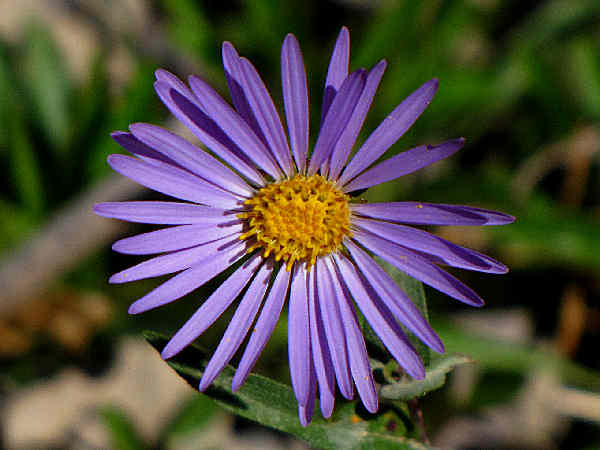 As picture shows the tall, thin plants with spikes of purple flowers, an atypical daisy look. North America also hosts ten native skeltonplant species (genus Lygodesmia), with the nickname referring to the plant’s thin, almost leafless stems. Rose Rush (Lygodesmia aphylla) grows in the sandy soils of Florida and Southern Georgia. 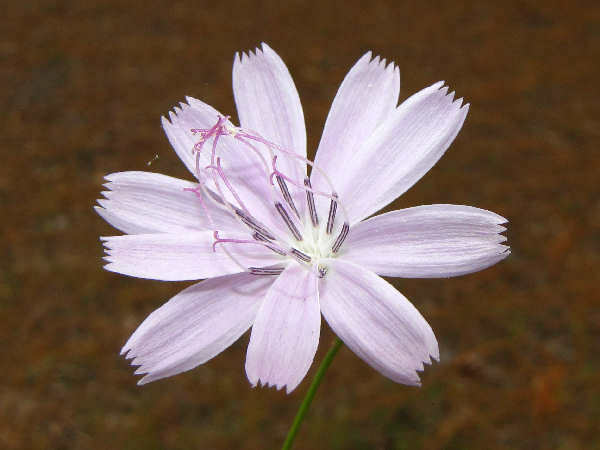 Native Americans used a variety of Lygodesmia for medicinal and food purposes, however there is no data showing Rose Rush used for these purposes. Literally dozens of flowers plants in the daisy family (Asteraceae), thrive in fall gardens. 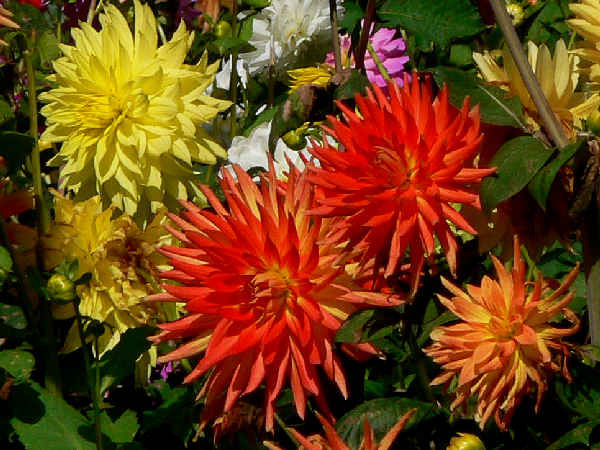 Gardeners looking for something new might want to think Dahlias, the national flower of Mexico. Although characterizes as warm weather plants, recommended for gardens in USDA zone 7 and higher areas, with the exception of the heat and humidity of South Florida and South Texas Dahlias grow in most areas of the United States. In high frost areas, they are grown as annuals, otherwise, plant them and enjoy then perennially. Their summer and fall blooms brighten up many gardens until the first frost sets in. Their popularity translates into hundreds of varieties, ranging from daisy to sunflower size, with colors ranging the full spectrum being available for consumers. Many of the varieties also make an indoor splash as a centerpiece of cut flowers. General growing tips include planting them in high sun areas with slightly acidic soil. Kansas, the sunflower state, designated the sunflower (Helianthus annuus) as its official state flower in 1903. North Dakota and South Dakota lead the nation in commercial growing, producing seeds for oils and foods. 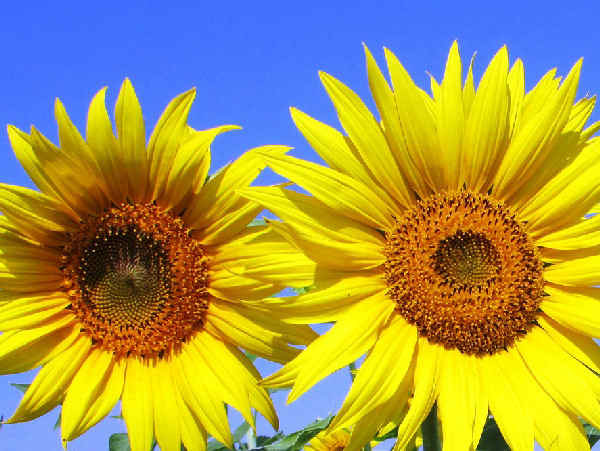 Gardeners think of sunflowers as bird magnets. Cardinals, sparrows, finch and other seed eating birds always favor seeds from mature summer plants. They are annuals, fairly easy to grow. Plant seeds after the last frost, in an area that gets good sun. Like their counterparts around the world, African daisies (Asteraceae), come in a variety of colors and shapes, with many garden cultivated species. 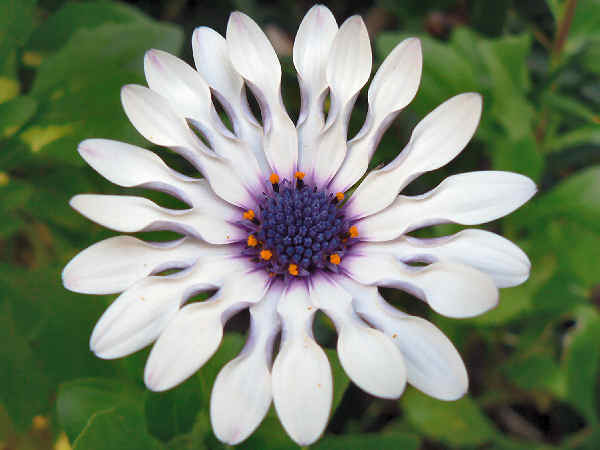 The African daisy (Osteospermumin) pictured also goes by the name Cape Daisy, or whirlygig. Many osteospermum species are popular garden flowers in southern climates.